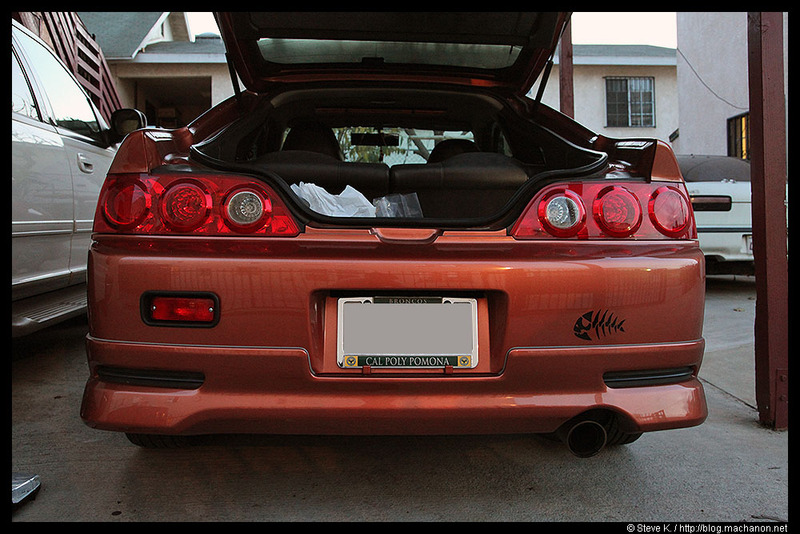 are you talking about the edm/ukdm rear fog light? Last edited by AzianK; 06-20-2014 at 12:20 AM.. This needs to be stickied. Puts an end to scrolling this thread. Nice and Thank you! ^^ Very nice find indeed!!! ^^^^ how would you know if u wanted to check out the 2005+ or 2004-05 DC5 Type R? Anyone know the part number for the exhaust rocker arm on the k20a type r engine? I've been on the jp car parts page but it doesn't specify which rocker arm is the exhaust rocker arm. Thanks! Looks like I'm going to need a rear wheel bearing, is the bearing the same? Part# 42200-S1A-E21 DC5R Rear Hub Bearing Assy. I need a big favor, does anybody kno the part number for the DC5-R VTC sensor? does anyone has the part number for the type r rear lip? Anyone have a part number for the input shaft bearing or any transmission part numbers? I know most of this stuff can be referenced to other honda vehicles made here in the states. Part number for the castle nut of the lower ball joint from a DC5R? anyone know the part number for 03 dc5 type r knock sensor? are all knock sensors the same? can i use one from a type s or from any other honda motor if it's hard to find one? Anybody know the part # for the DC5-R spare tire? I need it to clear the brembos. i have been checking on jdmland.com for almost a month and they dont have it in stock..
Last edited by DC5_Trendy; 05-30-2015 at 02:20 AM..
Summer Car - 03 PWP RSX-S - EVERYTHING FORSALE http://forums.clubrsx.com/showthread.php?t=714704: KPRO Street Tuned, 60A Billet MM, Injen CAI, RBC IM, Hondata IMG, CTRH, Greddy Ti-C Turbo, Revo S.S., Tein S-Techs, DIY Ground Wires, Black Projectors, Red Taillights, Mugen Rad Cap, Spoon Drainbolts, Potenza Re-11 225/50/16,..http://www.youtube.com/watch?v=aDOHA0ijsmQ Best:13.9 w/out RBC. Last edited by AzianK; 07-06-2016 at 07:17 PM..
What's the best wind visor/spoiler for the rear hatchback window? Where could I find one for an 02? need upper & lower heatshield part #'s for the JDM cat? Here's the parts catalogue. Have fun. Just don't use them to buy. They're overpriced. Use Amayama Trading. Thanks bud. but there are 3 different types of Integra versions. For mechanical parts they're all the same. You need to pick ABA-DC5 since you have a facelift car.